National leaders, no matter how important, don’t build a country or economic and social progress. These are delivered through the combined efforts of millions of people. That is why President Nursultan Nazarbayev has stressed repeatedly that Kazakhstan’s achievements over the last 27 years are the collective product of the country as a whole as will be the case with the hoped-for successes of the future. But national leaders certainly can, through their vision, example and personality shape this journey for good and bad. A leader who has his country’s interests at heart can accelerate progress by helping provide a framework through which these collective efforts are focused. They can also provide a stable, re-assuring environment that encourages people to work together towards common goals when, as inevitably happens, set backs occur along the way. No one can fairly claim that President Nursultan Nazarbayev has not played this positive role to the full in Kazakhstan’s history over the last three decades. Appointed as party secretary in the last chaotic years of the Soviet Union and popularly elected the first President of the soon-to-be fully independent nation on Dec. 1, 1991, he has ever since provided calm, consistent and determined leadership through the most challenging circumstances and turbulent times. So far has Kazakhstan come, as we have suggested before, that it is easy for outside observers to forget the progress made and problems overcome. It is not a mistake that those citizens who remember those first difficult years of independence make. It is why there is such widespread respect and affection for the man who was at the helm when, with an economy in free fall, storms threatened to capsize our young nation. Kazakhstan has, of course, been helped by its rich natural resources and, particularly, the discovery and harnessing of its oil and gas reserves. But these natural windfalls have all too often led to frustration, anger and conflict in a good number of countries rather than the transformed living standards and public services that our country now enjoys. These divisions can be a particular threat when a country finds itself in an unstable region. But the steady leadership provided by President Nazarbayev and, of course, the sensible moderate nature of the Kazakh people, explains why this fate has been avoided. Kazakhstan is rightly seen instead as a model of stability and harmony. There is, however, one area where the personality and qualities of a leader can make an even bigger difference. A nation’s international status and influence can rest to a huge extent on the person who represents it abroad. It is hard to imagine that Kazakhstan’s profile on the global stage would be at the level it is today without the respect earned by President Nazarbayev from his fellow leaders. The decisive steps he has taken, such as shutting down one of the world’s largest nuclear test sites, renouncing nuclear weapons and promoting dialogue and respect for international law have defined Kazakhstan in the world. This approach and the friendships forged at the highest level have helped our country, for example, be elected to the UN Security Council, a major step not just for Kazakhstan but also the entire region. It is to Kazakhstan’s huge advantage that the country has such good relations with all the major powers as well as nations of all sizes and every stage of development. 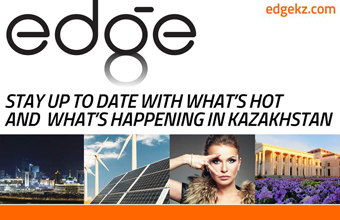 President Nazarbayev continues to set the direction and to challenge Kazakhstan to build on the progress it has made. He remains determined, as in the goal to join the top 30 developed countries, that young Kazakhs will enjoy even greater opportunities and prosperity. And, in voluntarily giving up powers to Parliament last year, he has shown his desire for further political reform. So while it may seem a little odd for those outside Kazakhstan for a sitting President to be honoured every year through a public holiday, as is the case on Dec. 1, it does not seem strange to his fellow citizens. It is both a small tribute to a leader who has guided our country through its first decades as an independent nation and also a chance for reflection and celebration on what the Kazakh people have achieved together.